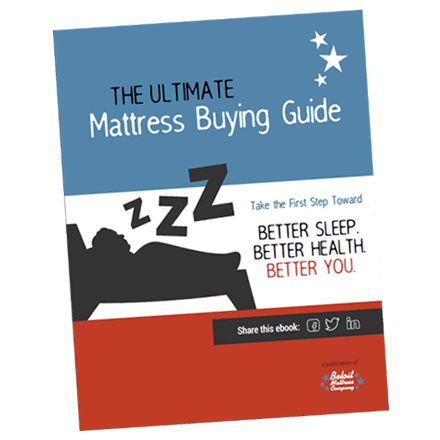 It’s no secret that Beloit area residents have a lot of options when it comes to buying a mattress. But instead of falling for a retailer who offers the best mattress deals with an end-of-year sale, you came to Beloit Mattress Company, where we offer the most comfortable, best in value mattresses every day. Your support along with thousands of other Beloit residents is what has allowed us to continue providing the highest-quality mattresses at affordable prices since 1929. Our founders started a mattress company in Beloit because they truly cared about the comfort of area residents. Nearly a century later, our family is still in this business because we love to help our customers get the best sleep possible. By building each innerspring, latex, and memory foam mattress by hand and selling it directly to customers, we’re able to offer affordable prices on premium products every day. We hope you love your mattress as much as we love our job! If you love sleeping on your new mattress, we hope you’ll come back to us for all your future bedding needs. Whether you need a memory foam mattress in twin size for your son, a memory foam mattress in queen size for your guest room, or an adjustable base for your own mattress, we will meet your comfort and budget needs. Thanks again for your support, and we hope to see you again soon!